A recent invitation to sample the 2018 Lexus IS 350 for a week was, in a way, reminiscent of my NC vs ND Mazda Miata comparison from last year. While a 3rd-gen (NC) Miata is my weekend and mild weather (read winter in South Florida) fun ride, my daily driver is a 2011 Lexus IS 350 F Sport. Thus, we have the setup for another “battle of the generations” between the 2nd-gen (GSE21 in Lexusspeak) IS 350 and its 3rd-gen (GSE31) successor. In comparing the two, however, we won’t be as obsessively detailed as we were in comparing successive versions of Mazda’s much-loved roadster. Rather, the focus will be on how the Lexus IS has evolved in broad terms. The original Lexus IS was something of an “accidental Lexus”. When the marque was launched in 1989, its entry-level model was the ES 250, basically a glorified version of the front-wheel-drive Toyota Camry. Seeing that this wouldn’t fly for the more demanding and RWD sports sedan-oriented European market, the Toyota Altezza was rebadged for export to Europe as the Lexus IS starting in early 1999. The 2-liter engines used on the Altezza and European IS were deemed inadequate for North America, however. Over a year elapsed before the IS made its North American debut as part of a two-pronged entry-lux strategy of ES as comfort-oriented FWD sedan and IS as a RWD sporty direct rival to the BMW 3-Series. This extra time was put to good use in developing the IS 300, which borrowed the much-loved 2JZ-GE 3-liter inline 6 from its larger GS 300 and SC 300 siblings. The launch of its 2nd-generation successor in 2005 coincided with the introduction of the Lexus marque to the Japanese domestic market, and the Toyota Altezza was laid to rest (gone but not forgotten and all that…). Developed as a true Lexus from the start, the XE20 saw its wheelbase stretched by 2.4″ (60mm), its overall length grow by almost 7″ (175mm) and made a full 3.2″ (80mm) wider, all while keeping the same basic N platform. Curb weight ballooned from 3285 lbs (1490 kg) to 3527 lbs (1600 kg). This was mitigated (and then some) by the introduction of the IS 350’s 3.5-liter 2GR-FSE V6 with dual direct and port injection, with 89 hp and 59 ft/lb of torque increases versus the venerable 2JZ inline 6. 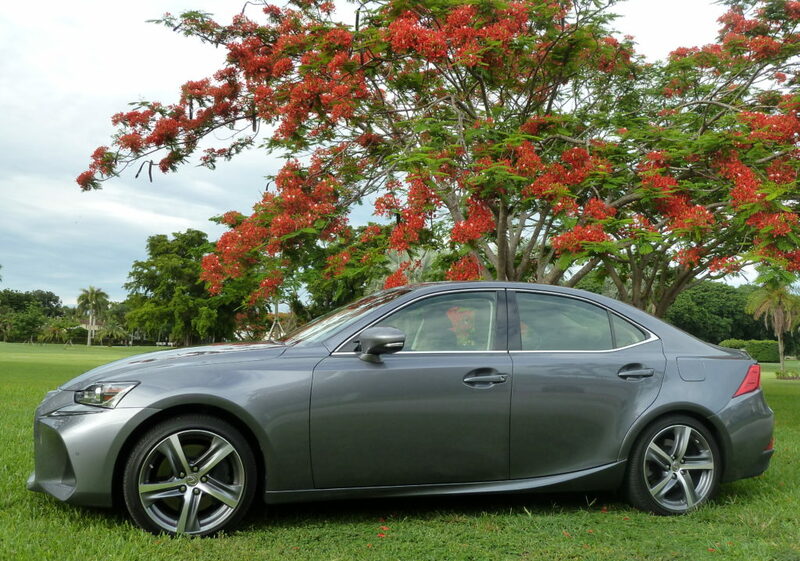 Another growth spurt came with the launch of the 3rd-gen Lexus IS in early 2013. Now on a “New N” evolution of its predecessors’ platform, the wheelbase grew by 2.7″ (70mm), overall length by 3.6″ (90mm) and width by a scant 0.4″ (10mm). Curb weight also saw a nominal 66 lb (30 kg) increase. While the 2GR-FSE 3.5-liter V6 remained mostly unchanged until this year (more on that later), the GSE21’s A760E 6-speed automatic gave way to the AA81E 8-speed auto in its GSE31 successor. 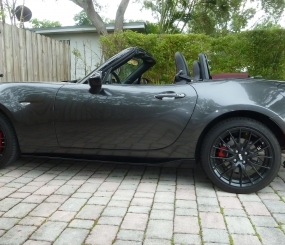 As with the aforementioned comparison between my NC Mazda Miata Touring and a newer ND Grand Touring model, this one is a bit apples-to-oranges. My 2011 IS 350 is an F Sport model, whereas the 2018 we sampled is a more luxury-oriented “regular” IS 350. Its base MSRP is $41,830, while a suite of options that includes Comfort and Premium Plus packages (memory seats with heating and ventilation, power adjustable steering column, blind spot monitor and rain-sensing wipers); Adaptive Front Lighting System; a Navigation/Mark Levinson audio combo; Intuitive Parking Assist; 3M Paint Protection Film on the front; and nowhere-to-be-seen All Weather Floor Mats brought the bottom line MSRP (including Delivery, Processing & Handling) to $48,509. The original Lexus IS (née Toyota Altezza) was most noteworthy aesthetically for a couple of pioneering styling cues: its so-called Altezza lights (comprised of large round taillights housed in a chromed triangular housing covered by clear acrylic) and its chronograph watch-inspired instrument cluster. Beyond that, though, its subtly-sculptured wedge shape, grooved 5-spoke wheels and covered headlights with “braid”-patterned grille give it a look that, almost 20 years after its launch still looks fresh and contemporary. 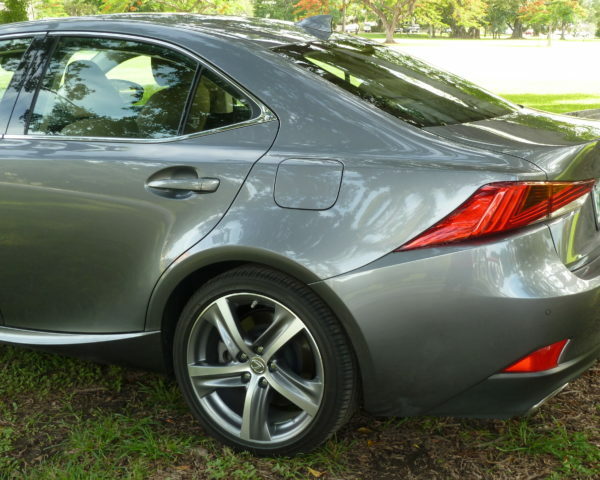 Its 2nd-gen (XE20) successor ditched those iconic cues, but was, if anything, even more wedge-shaped in profile, and was the first Lexus sedan to utilize the so-called “arrowhead” rear side quarter window. The original old mannish vertical bar grille texture fortunately gave way to a far more attractive and appropriate zigzag mesh pattern on F Sport models debuting in 2011 in the U.S. Over 13 years after its first unveiling, this, too, still looks modern and attractive, ready to pounce at a moment’s notice. And the 3rd-gen XE30? This one comes off as a pastiche of over-the-top styling cues laid on a conservative basic shape. 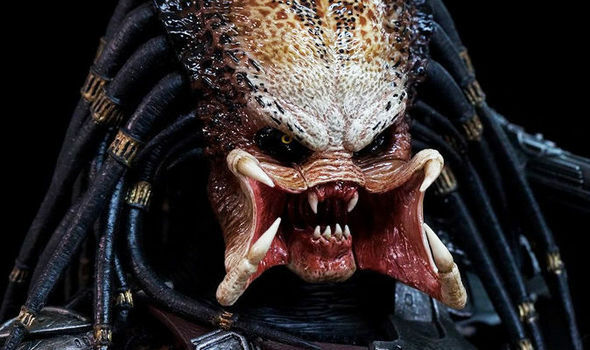 A large and in-your-face spindle grille worthy of its derisive comparisons to movie monster Predator. A wavy and bumpy, almost amorphous headlight cluster. Separate Nike swoosh-like daylight running lights randomly thrown in the general direction of the headlights. Massive so-called brake ducts on the front bumper that lead nowhere and give the front something of a chubby-cheeked look reminiscent of a glassblower or trumpet player. A curved upkick on the trailing edge of the lower side body sills that continues in an imaginary arc line to “connect” with the rear bumper side contour – a conceit that works better in theory than in actual practice. Wraparound side taillight tips that appear to be melting faster than a Salvador Dalí watch in a surreal Cadaqués landscape. Distinctive? Absolutely. Timeless, like its predecessors? Not so much. To be fair, the 3IS’s 2017 mid-life facelift did include a couple of minor but noteworthy exterior improvements. The grille pattern on non-F Sport models at least now has a uniform top-to-bottom horizontal bar texture, as opposed to its predecessor’s horizontal bars and squished honeycomb mix that is reminiscent of wearing a striped polo shirt with plaid shorts. The headlight assembly contours are now a bit more squared off, and the new 18″ 5-spoke wheels with their central sunken groove are, perhaps, a directional homage to their 1st-gen IS forebears. Step inside the GSE21 (2nd-gen IS 350) in F Sport guise, and you are greeted by a no-nonsense, sports-oriented interior with its blackness that extends even to the ceiling headliner accented by brushed metal and chrome flourishes on the center console, door pulls and grab handles. And, speaking of the latter, their curving shape was inspired by the motion of a Star Wars lightsaber, according to chief engineer Suguya Fukusato. So, too is the “lightsaber on a dark background” motion of the speedometer and tachometer needles and the “blast into hyperspace”-inspired orange ring that lights up in the tachometer as it approaches the redline. The deeply-bolstered front seats also mark the final appearance of mixed imitation suede and leather seating on a Lexus IS. Our GSE31 (3rd-gen IS 350), in contrast, has a lighter, more relaxed and luxurious vibe inside. Yet, curiously, Lexus has made a deliberate effort to eschew the traditional wood-and-leather luxury materials ethos from the 2018 IS. 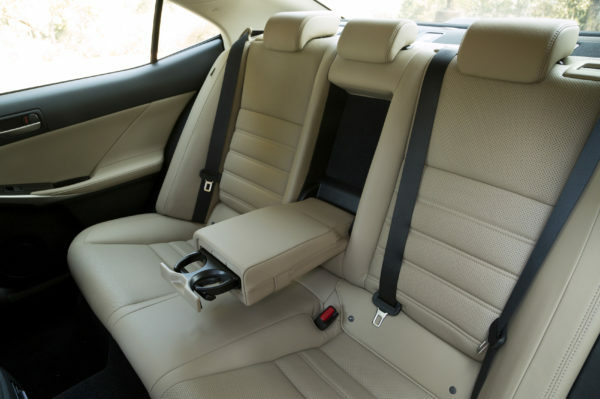 All seating options are in NuLuxe imitation leather (PETA and folks who hate wrinkles and creases in aging leather should be happy) and interior trim is limited to “Illustrious Piano Black” and, for F Sport, “Silver Performance” (ditto treehuggers). Our test IS had the former trim in a Chateau interior, described by Lexus as “a new light shade that blends the elegance of Ivory with a more modern light-gray hue”. The less charitable might be inclined to describe it as a “greige”, but, regardless, it works quite well with our car’s Nebula Gray Pearl exterior. 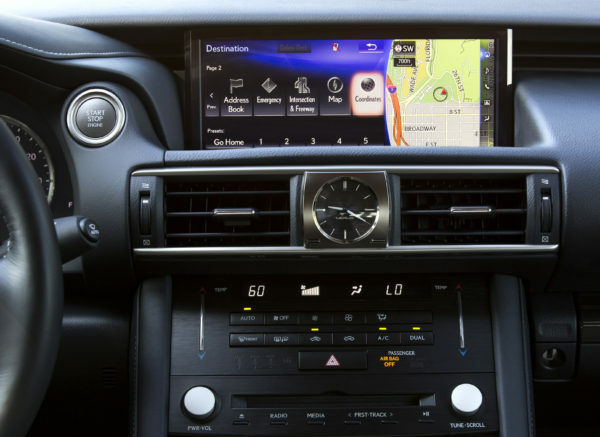 As part of its 2017 mid-life facelift the 3rd-gen Lexus IS received interior tweaks that include a larger (10.3″) higher-resolution multimedia display screen and “Enter” buttons have been added to the sides of the Remote Touch Interface (RTI) on the center console, making the system easier to use. The nicely-padded center console edges alleviate a knee-banging pet peeve of this author on a good number of cars. Interior materials and fit-and-finish are generally Lexus-worthy, with a couple of glaring exceptions. For one, the radio control knobs claim to emulate high-end home audio systems but instead feel like the factory inadvertently left them unfinished and a bit rough, without even a satin nickel coating. 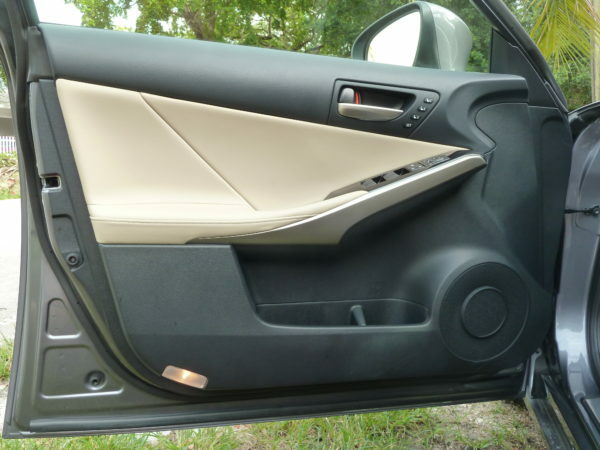 Also, the shallow lower front door panel pockets are made of a flimsy and cheap-feeling plastic more worthy of a mass-market econobox than an entry-luxury sedan. They’re definitely a huge step backwards from the substantial-feeling, higher-quality fold-out door pockets in its 2nd-gen IS predecessor. On the positive side, the growth spurt of GSE31 vs its GSE21 predecessor sees increases in every interior dimension. Perhaps most useful is expanded legroom by almost an inch up front and 1.6″ in the rear. This means that the Lexus IS is no longer the runt of its class when it comes to rear legroom (a dubious distinction that now goes to the Cadillac ATS and Jaguar XE). Overall interior volume goes from 85.7 cubic feet for GSE21 to 90.2 cubic feet for GSE31. Our test GSE31’s Mark Levinson system is an audible improvement over the older GSE21 F Sport’s standard sound system. Both share a pet peeve of mine, though: Why, oh, why is artist and song title information limited to 16 characters per line when there is clearly room to display at least twice as many? The Lexus Safety System+ is the brand’s counterpart to Toyota Safety Sense-P, which I discussed at length in my Toyota C-HR review. I won’t repeat myself here, except to note a couple of crucial differences between the two applications. For one, in the older Lexus IS, the Dynamic Radar Cruise Control system is labeled as High-Speed (starting at 28 mph / 45 km/h) as opposed to the CH-R’s Full/All Speed functionality. Indeed, on a drive with DRCC activated, once I exited the expressway and slowed down for the traffic light at the foot of the off-ramp, a warning noted that DRCC was no longer active. Another notable difference is the upgrade from TSS-P’s Automatic High Beams (AHB) to Lexus’ enhanced Intelligent High Beams (IHB). 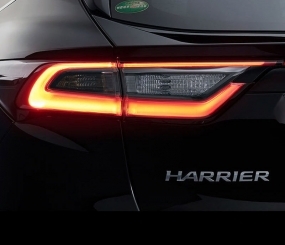 This, combined with our test car’s Adaptive Front-lighting System (AFS) – a $300 option that, in Lexus’ words, adjusts the direction of the light axis of the headlights according to vehicle speed, tire angle and steering input – makes it by far the best-conceived and useful AHB system this author has sampled. Unlike others of its ilk (even within the Toyota/Lexus stable), the IHB/AFS combo will change to high beams in dimly lit (but not totally dark) suburban environments without vehicular traffic. Here is where our comparison veers the most into apples-and-oranges territory. The F Sport package in my 2011 IS 350 includes sport suspension tuning from the factory, including a 0.5″ lower ride height. Official F Sport accessory lowering springs as fitted to my IS 350 drop this a further 0.5″, for a total 1″ drop versus standard ride height. My IS also rides on Michelin Pilot Super Sport tires (defined by Tire Rack as Max Performance Summer tires). In contrast, the 2018 IS 350 we evaluated comes with the standard, higher-riding and softer suspension with Bridgestone Turanza EL400 tires defined as Standard Touring All-Season tires. 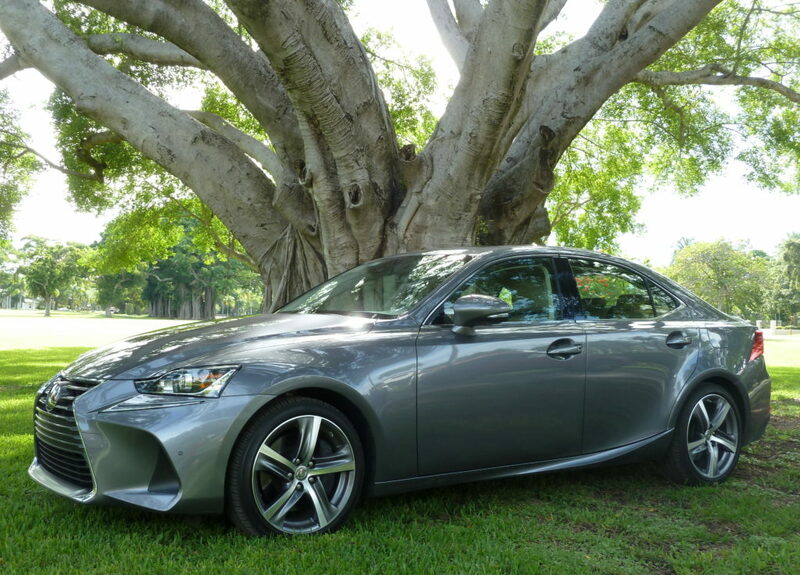 Given these differences, plus the older GSE21 IS 350’s shorter wheelbase, length, and slightly lower (by 66 lbs) curb weight, it is no surprise that it feels lighter on its feet and more tossable and agile than its larger successor in more sedate stock trim. The newer GSE31 IS, even in stock form is still a competent and capable enough handler, with decent steering feel. More than anything, it whets our curiosity for how a 2018 IS 350 F Sport on summer performance tires would compare. Further bolstering its case is one of the most notable changes for 2018: the welcome return (exclusively in the IS 350 F Sport with rear-wheel-drive) of a proper Torsen mechanical limited-slip differential for the first time on a 6-cylinder Lexus IS since the 2005 model year. 2006 thru 2017 Lexus IS models (bar 2010 and later V8 IS Fs) have made do with “virtual” LSD-like programming on their VDIM (Vehicle Dynamics Integrated Management) system. The other major change for 2018 Lexus IS 350s is the overdue transition from the older 2GR-FSE 3.5-liter V6 to the updated 2GR-FKS variant already available in the marque’s RX, GS and RC lines. This adds dual Otto/Atkinson cycle capability, upgraded VVT-iW capability on the intake camshaft, an exhaust manifold integrated into the cylinder head and self-cleaning fuel injectors, among other improvements. By the numbers, the 2GR-FKS application in the 2018 Lexus IS 350 sees a 5 horsepower boost versus its FSE predecessor (torque remains identical for both at 277 lb/ft). Also identical for GSE21 and GSE31 are official claims of a 0-60 time of 5.6 seconds (with a 0.1 second faster quarter-mile time for the latter). In practice, though, the newer 2018 felt slower than my older IS. The new IS’s slightly heavier curb weight might be a factor, or perhaps that the older A760E 6-speed automatic in my older daily driver has “learned” my occasional stomp-on-it, floor-it-so-it-downshifts driving style in a way that a week-long stint in the 2018 with its newer AA81E 8-speed auto simply hasn’t had time to do. The latter’s more frequent and even “skipped” shifts with its 2 extra gears are never jumpy or jolting but occasionally verge on feeling CVT-esque. Worth noting is that non-F Sport 3rd-gen ISs such as our tester have only Eco, Snow, Normal and Sport Drive Mode Select settings, whereas F Sport models gain Sport S, Sport S+ and customizable drive modes, along with an Adaptive Variable Suspension (AVS). Our 2018 IS 350 showed 20.1 mpg overall average fuel economy, with the tank-plus used for my week-long evaluation dropping that to 16.3 mpg spent mostly in dense urban traffic with very sporadic use of Eco mode and roughly equal time spent in Normal and Sport modes. Official EPA fuel economy figures are 20 mpg City / 28 mpg Highway / 23 mpg Combined. 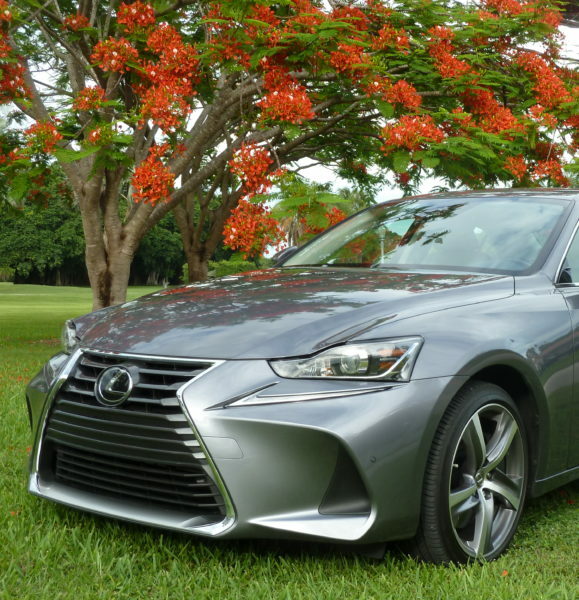 The 2nd-generation Lexus IS followed the XX30 (3rd-gen) Toyota Avalon in having an extended production life and not one but two mid-cycle refreshes. in the Lexus’ case, the latter of the two (for the 2011 model year) saw significant tweaks and improvements to steering feel, suspension and handling. Will the 3rd-gen IS sedan (introduced in the 2014 model year) be offered for 8 model years, as its predecessor was? Or will it see a shorter 6 or perhaps 7-year cycle? The 2019 model year announcement due within the next few months should provide valuable clues, depending how light or extensive changes are for next year. Further throwing predictions into flux is the delayed rollout of the brand’s new-generation GA-L rear-wheel-drive architecture expected to underpin the next IS and the uncertain future of the GS line. Already discontinued for the European market, the 4th-generation (L10) Lexus GS is not expected to be offered in North America and Japan past the 2020 model year. At present, the GA-L architecture is offered in 3 wheelbase lengths: short (2870mm / 113″) for Lexus LC, medium (2920mm / 115″) for the latest Toyota Crown and long (3125 mm / 123″) for 5th-gen Lexus LS. Coincidentally (or not? ), the Lexus LC sits on a 50mm shorter wheelbase than the latest Crown, just like 3rd-gen Lexus IS sits on a 50mm shorter wheelbase than the 4th-gen GS. Will the upcoming 4th-gen IS use the shorter LC wheelbase, thus allowing for an eventual 5th-gen GS to continue its tradition of being essentially a fraternal twin to the Toyota Crown? Or will the next IS grow into the “Crown twin” role, thus annihilating the GS line once and for all?